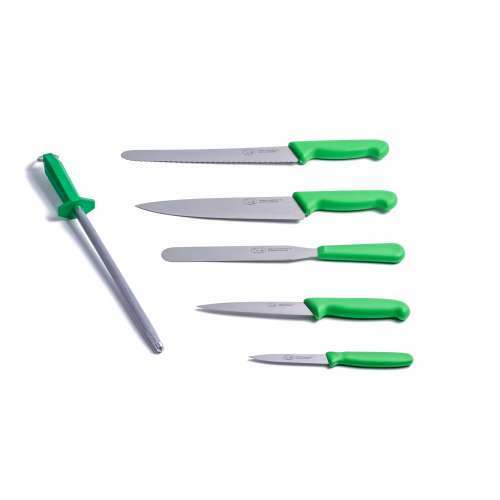 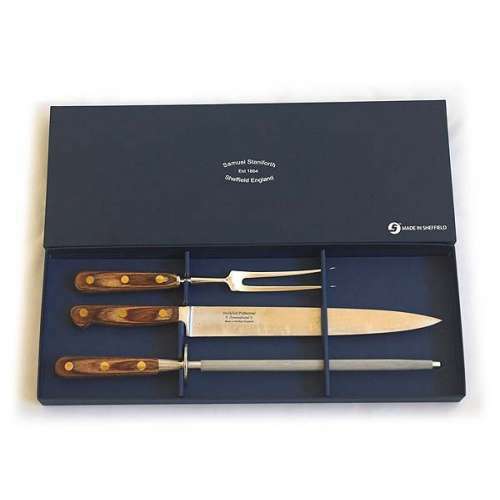 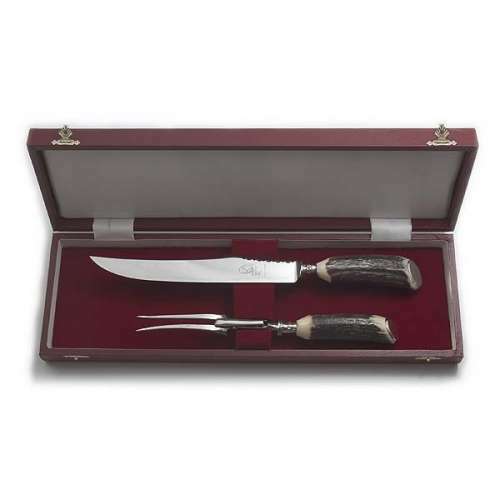 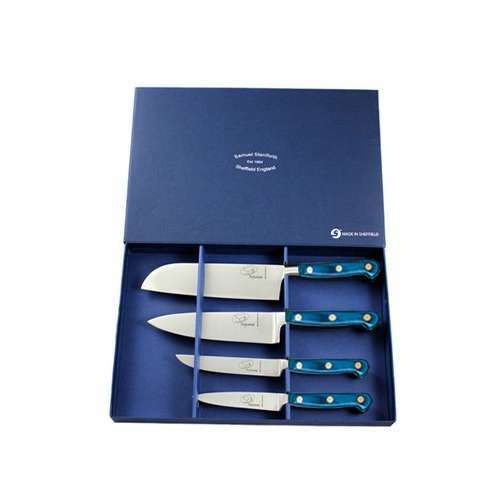 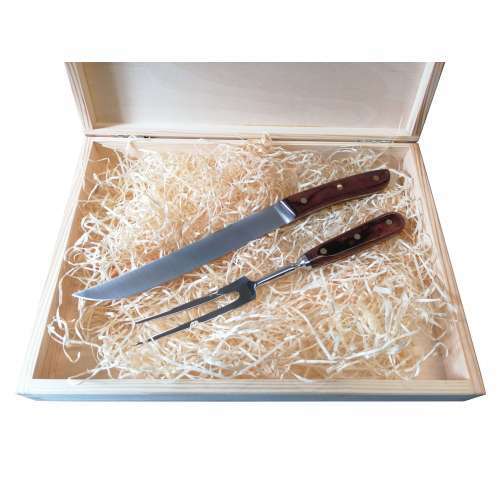 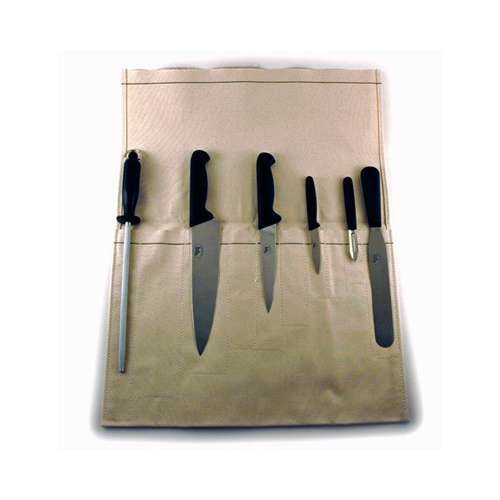 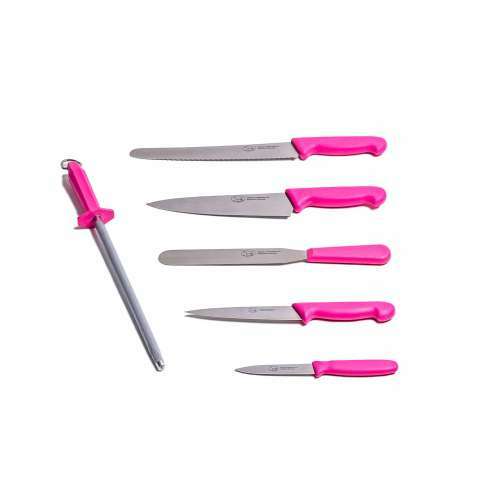 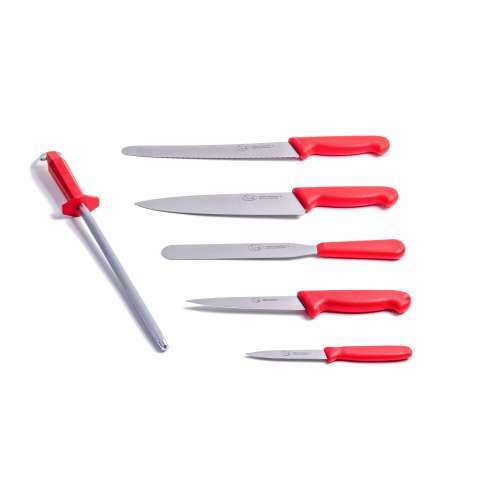 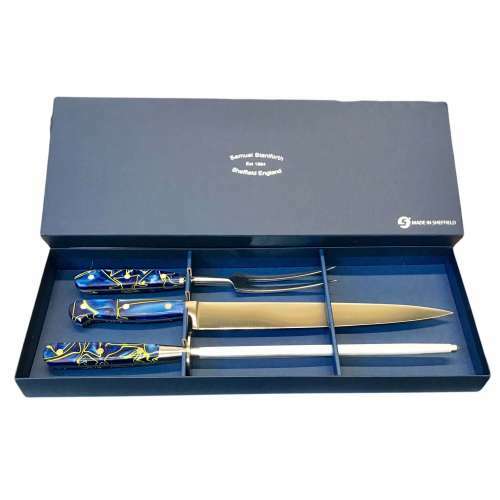 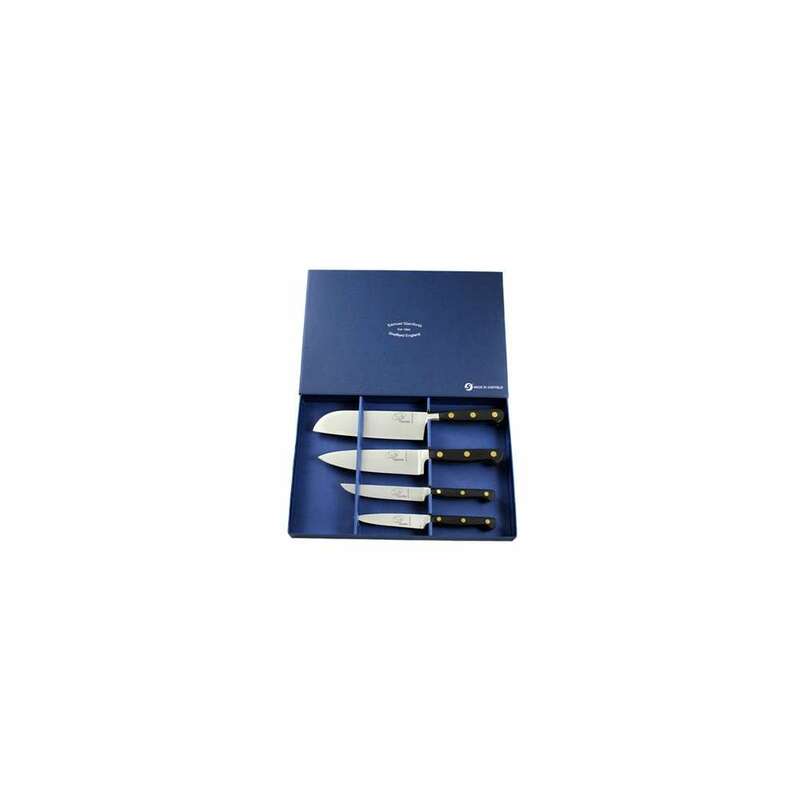 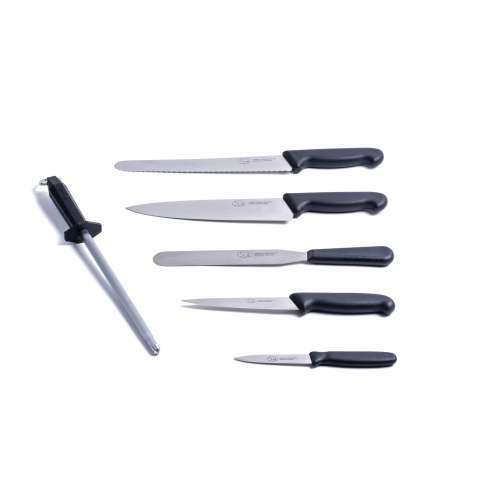 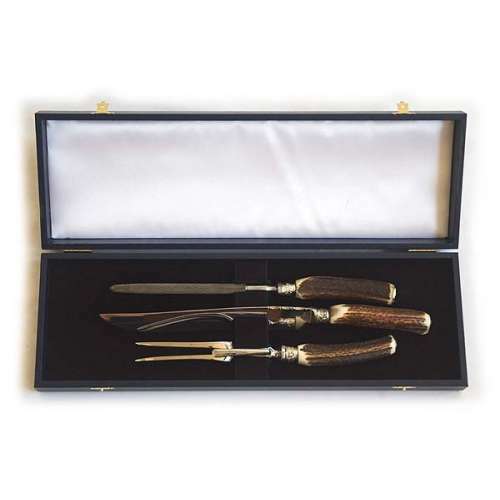 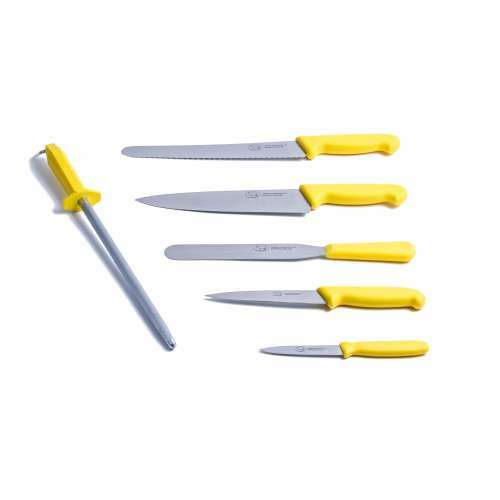 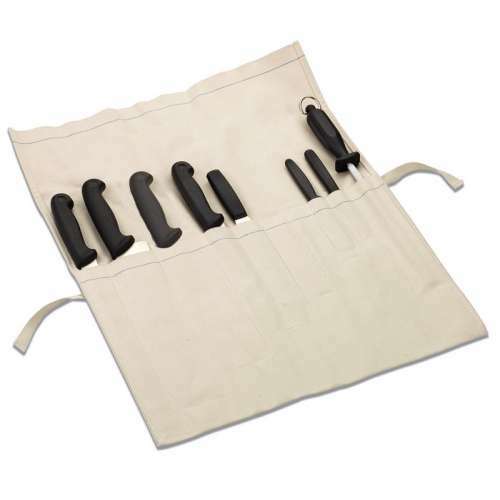 Finest Sheffield made Gourmet knife set. 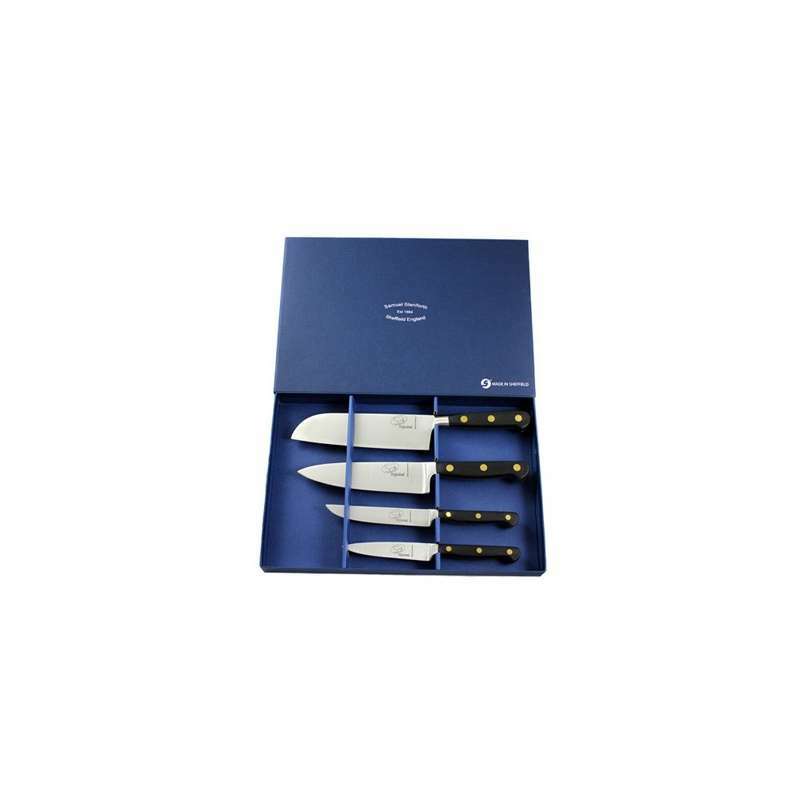 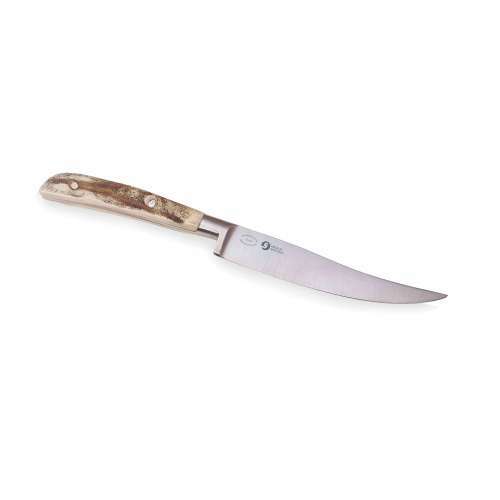 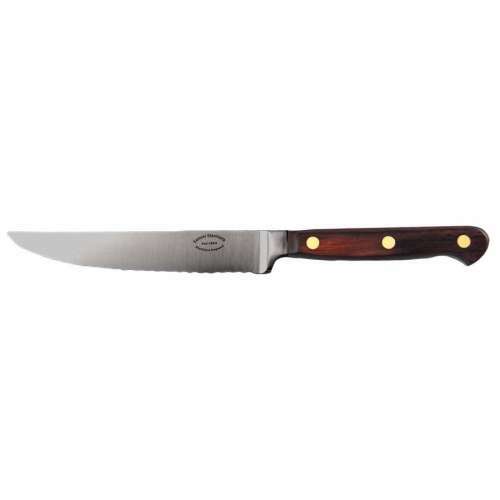 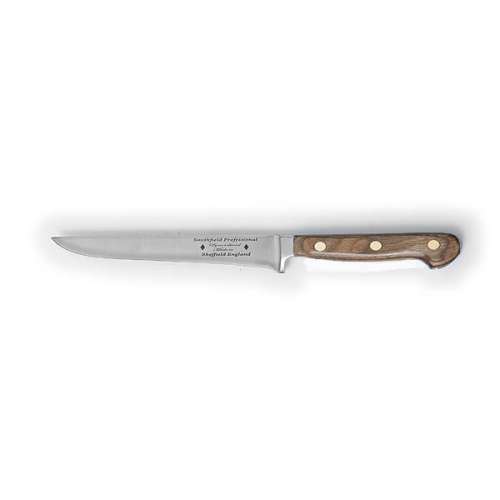 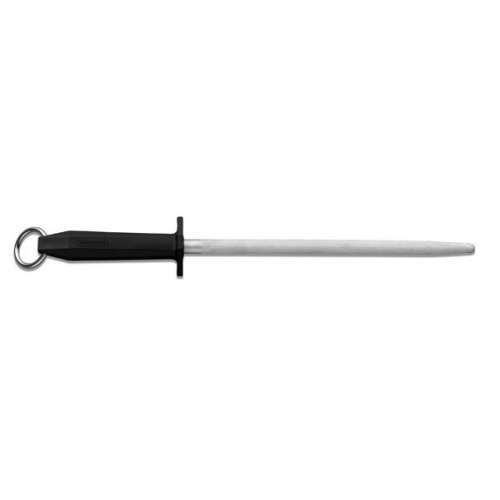 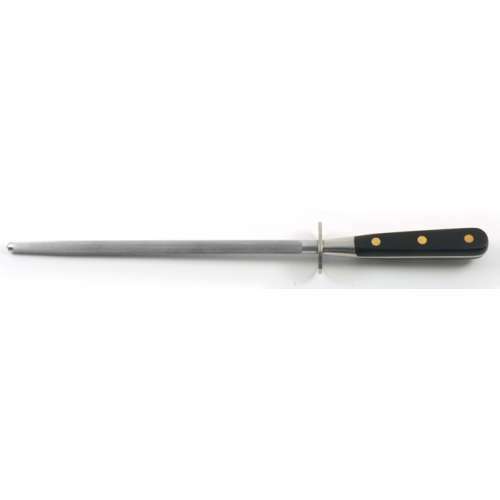 All knives featuring high quality, razor sharp, stainless steel blades with brass rivets to permanently secure the handle to the tang. 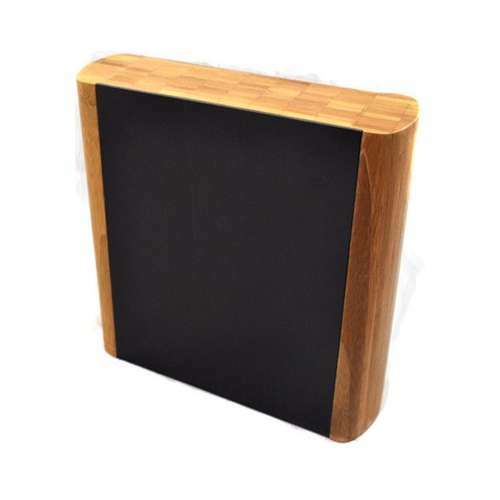 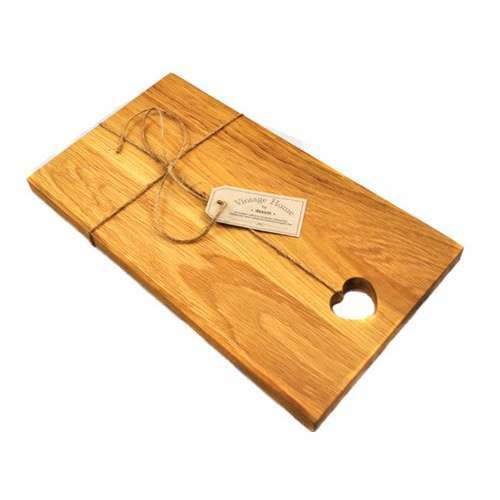 Available in black Polyacetal or the just as stunning Rosewood.